Photo courtesy of Gamlin Whiskey House. The Gamlin Restaurant Group team with Late Nite Eats host Jordan Andino. From left, Derek Gamlin, Lucas Gamlin, Dustin Parres, Jordan Andino, Ryan Cooper, Carl Hazel and Jeremy Beatty. Three St. Louis favorites are about to experience national stardom — with prominent placement on the Cooking Channel show Late Nite Eats. 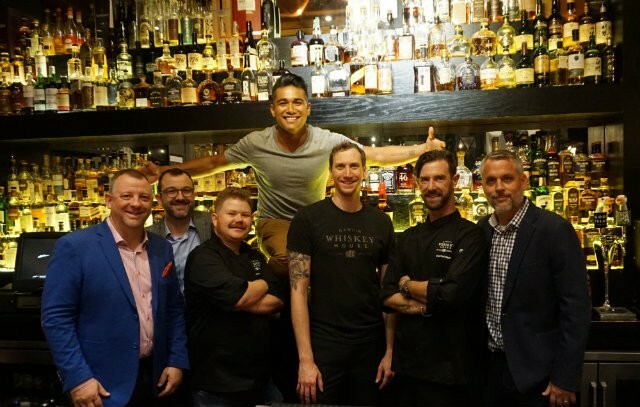 Gamlin Whiskey House (236 N. Euclid Ave.), the Fountain on Locust (3037 Locust St.) and Guerrilla Street Food (3559 Arsenal St.) will be featured in an episode airing November 2 at 9 p.m. CST, according to Gamlin Whiskey House. Late Nite Eats follows chef and host Jordan Andino as he searches for restaurants that are at the top of the late-night dining world, per the Cooking Channel. In the process, he meets chefs, tries their most popular dishes and learns "how they are revolutionizing after-hours dining." And the St. Louis episode shouldn't disappoint: Per the Cooking Channel's promo, Andino finds that all three restaurants are "cooking up something truly spectacular and revolutionizing what it means to eat out long after dark." Gamlin Whiskey House will hold a watch party for the episode in its Barrel Room when it airs on November 2. Drinks specials will be available from 9 p.m. to 1 a.m. 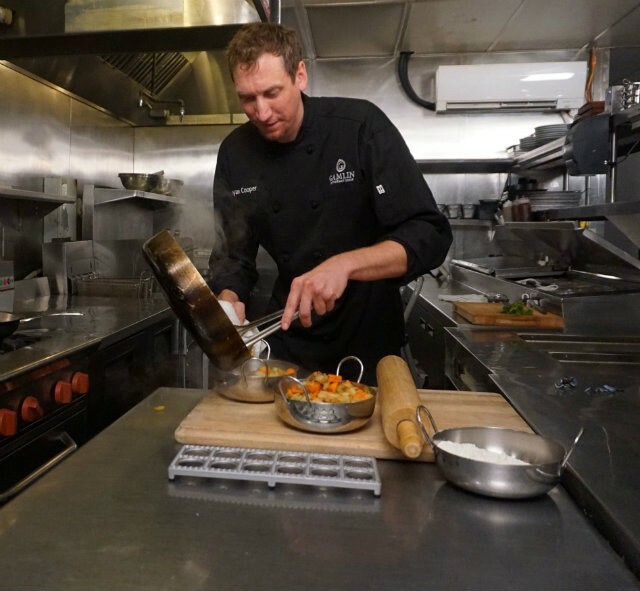 Chef Ryan Cooper of Gamlin Whiskey House prepares a dish for Late Nite Eats.